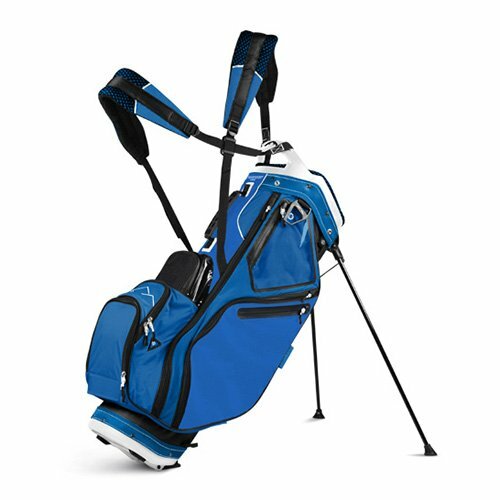 Sun Mountain 2017 5.5 LS (No Logo) Stand Bag - Black / Cobalt / White - CLOSEOUT by Sun Mountain at Norwalk Foundation. Hurry! Limited time offer. Offer valid only while supplies last. The 2017 5.5 LS is the biggest bag in Sun Mountain's lightweight series. The 5.5 LS has the largest top which makes it easy to get clubs in and out. The 2017 5.5 LS is the biggest bag in Sun Mountain's lightweight series. The 5.5 LS has the largest top which makes it easy to get clubs in and out. It's also equipped with 9 pockets offering ample storage space. Matching rainhood included.